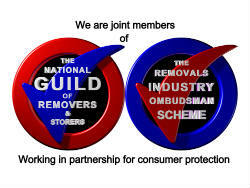 Here at Pers Removals we understand the trials of moving home. Promoting ease of transition and peace of mind, we manage the whole process with skill, precision and commitment. Taking the strain from the transition, we ensure your move between properties is completed with a modicum of disruption. Conscientious and courteous, delivering precisely what you need is what you need when moving home; our service is one of the best in Barnet. Our experienced team are well-versed in completing all removals within agreed timescales. 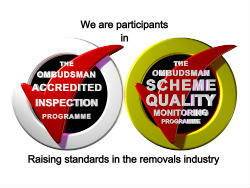 We’re very proud of our capability to deliver a level of service to be proud of. You need only read our testimonials as evidence of how we consistently exceed client’s expectations. We work with you to ensure that every aspect of your home removal is executed faultlessly. We’d be happy to answer any questions that you may have. If you’re looking for a house removal company in Barnet with the capability of delivering a service tailored to your personal needs, we can help. Indeed, whether you own expensive chandeliers that must be handled with extreme care or have antique furniture, bought as an investment, that needs to be carefully wrapped and carefully placed in a removal truck, we are the Barnet removals business for you. As a business we’re dedicated to delivering a service to boast of. This philosophy is reflected in the price that we quote. What does this mean for you? Cost-effective and attentive local removals Barnet service, whether you require removals and long term storage or merely removals and storage. With comprehensive knowledge of the local area, we provide invalid experience on the day that you come to move home. From arriving promptly to identifying a safe and accessible place to park the removal truck, you reap the benefits of choosing us throughout the day. If you have any questions regarding our experience, please feel free to contact us today.